CHAMPAIGN, Ill., 9/25/17: Although the Eastern Whip-poor-will is rarely seen, its distinct call occasionally can be heard in forests from dusk until dawn. 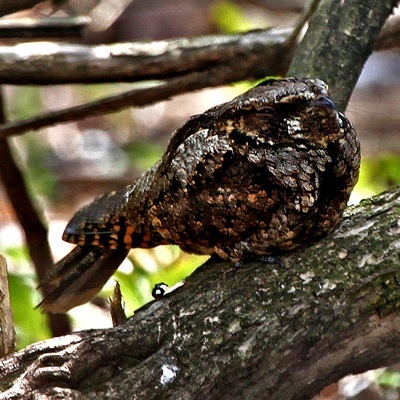 Once common, Whip-poor-wills and other nocturnal nightjar species are disappearing from Illinois forests as their habitats shrink and change, according to data from the Illinois Natural History Survey (INHS), a division of the University of Illinois’ Prairie Research Institute. “Because they are nocturnal, monitoring for nightjars can be challenging, but we suspect that they are declining,” said Tara Beveroth, an INHS avian researcher. Beveroth coordinates the Monitoring of Owls and Nightjars program (MOON), which seeks to determine population trends and distribution of owls and nightjars, as well as to investigate causes of possible decline and implement best management practices to conserve them. Besides the Eastern Whip-poor-will, two other nightjar species are found in Illinois: the Chuck-will’s-widow, found mostly in southern Illinois, and the Common Nighthawk. Although the Chuck-will’s-widow has been designated as a state threatened species, populations of all three nightjar species likely suffer from habitat loss, lack of food availability, and forest composition changes. 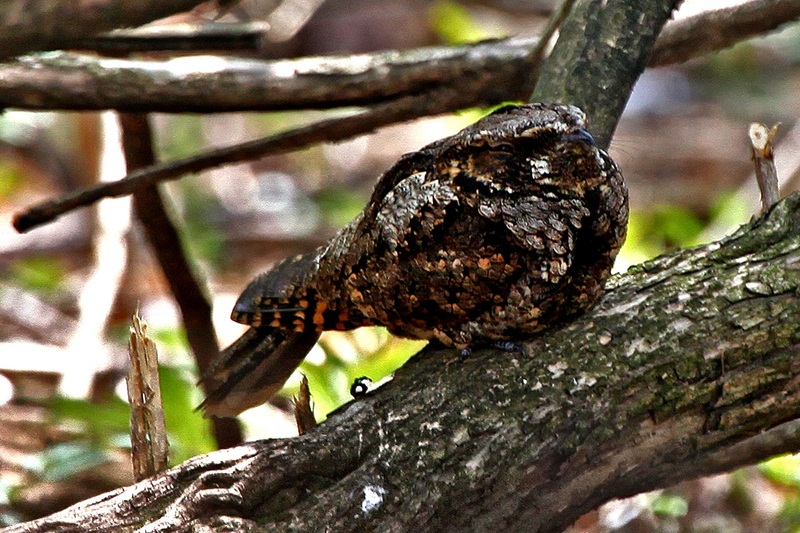 Nightjars are insect eaters and have historically foraged in and around oak-hickory, pine, or mixed forests. The Common Nighthawk can also be found in sand prairies and foraging in urban areas where they will use flat gravel roofs to nest. As the invasion of exotic plant species has changed forests, the number and diversity of insects have declined. Moths make up a large portion of the nightjar diet. Having an open understory to hunt for these insects is critical, especially when the birds are raising their young, which is timed with the full moon so they can see better while hunting. The native herbaceous understories, once bursting with insect life, are declining in Illinois forests. Adding the Chuck-will’s-widow and the Common Nighthawk to the state threatened or endangered species list along with the Eastern Whip-poor-will requires definitive data on declining numbers. Because MOON surveys are completed when most people are sleeping, finding volunteers who can consistently monitor for nightjars is a challenge. However, Beveroth hopes to see this program grow and produce data needed to benefit the nocturnal birds. The 10-stop roadside surveys are completed once in May and again in June; volunteers detected 123 nightjars during the 2015 survey and 98 in 2016.